Two of ICSJ's early childhood teachers participated in a year long program with the Erikson Institute and their Technology in Early Childhood program. 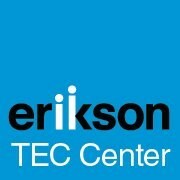 The TEC Center at Erikson Institute offers an innovative and intensive professional development program designed to develop early childhood educators as TEC Mentors who serve as coaches and leaders in tech integration in early childhood programs, classrooms, and out-of-school time settings. We are so fortunate that two of our ICSJ teachers have been able to participate in this program throughout this past year. This year, Erikson’s program has reached 6,000 preschool through third-grade students across 25 schools, and over several years, the project has the potential to reach 58,000 students across 200 schools in Cook and Lake counties. Below is a sneak peak of the wonderful program they took partnership in with the Erikson Institute.